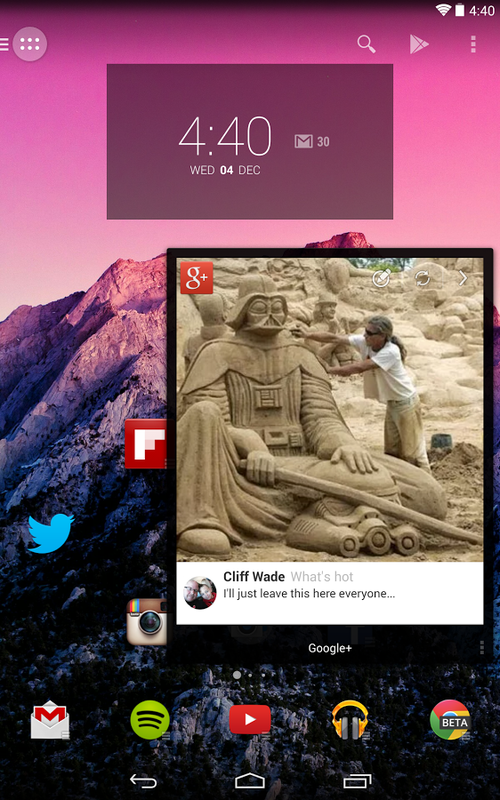 Action Launcher is one of the more distinct alternative home screens for Android. Instead of grafting new abilities on a standard launcher setup, the developer has created some innovative features that change how you use apps and widgets. Version 2.0 is just out and it's adding even more goodies. Probably the biggest user-facing feature addition is Quickpage, which is a small home screen panel that is accessible at any time with an edge gesture on the right of the screen. The active area for this is toward the top, so it shouldn't interfere with using other apps. The Quickpage lets you place your favorite apps and widgets just a swipe away. The app Quickdrawer is also easier to get at with a similar gesture on the left. These "1-Swipe" features are accessible anywhere, even from other launchers, if you want to roll that way. Quickpage (beta) - a fully featured home screen accessed by swiping from the right screen edge. 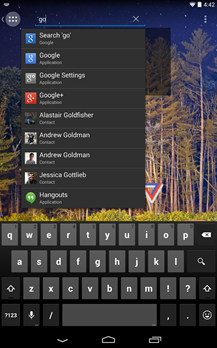 1-Swipe (beta) - access the Quickdrawer or Quickpage from anywhere, whether you're running Action Launcher or not. 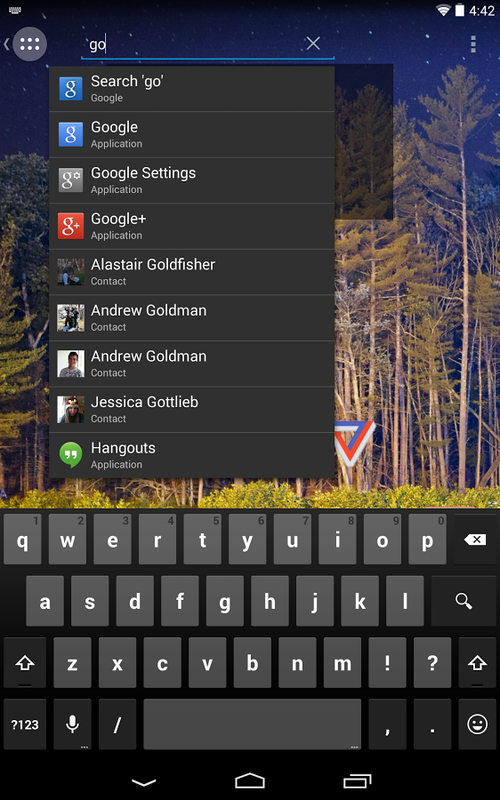 Translucent status bar and navigation bar (requires Android 4.4). Add option to select between the transparent action bar, clear action bar, stock search bar or nothing. Add option to specify Portrait, Landscape or Auto-rotate screen orientation. Rewrote icon scaling. No longer do icons appear smaller than they should when using a larger grid size. Update look and feel of highlights, glows and UI elements to match Android 4.4 (all devices). 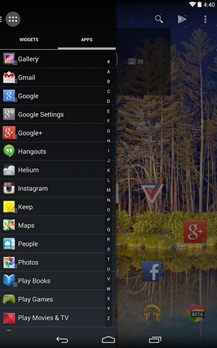 Add option to use Android 4.4's 'dots' style dock separator. Use Android 4.4's new All Apps button and Settings theme. Use Android 4.4 themed image highlights for the current Quickdrawer tab and Home screen page. 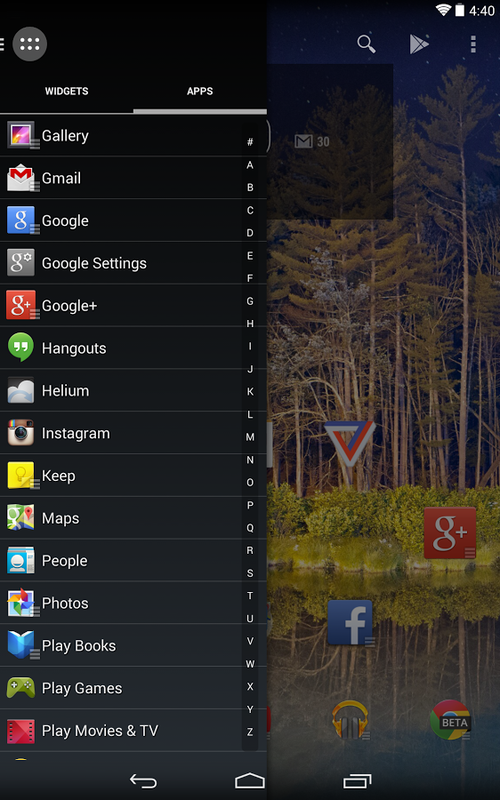 Add "Alternative wallpaper height" Labs setting for people running Android 4.3 or earlier. If a shortcut for an app is not installed, flash an interactive toast message allowing the user to jump to the Play Store to install the app. Useful for people restoring an SD card backup on a device that does not have the app installed on it. Layouts can be imported from Google Home. Add FAQ to Help menu. Add "Use full screen height" option to "Screen padding" setting. If enabled, do not adjust the usable screen size for the translucent navigation bar height (requires Android 4.4). Action Launcher also has all the neat Cover and Shutter stuff from before, but you can get a sampling of the app with the new free version of Action Launcher. 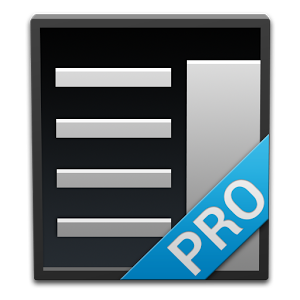 If you like it, the pro version is on sale for one week for $1.99, down from $3.99.